Dr. habil. Matthias G. Wacker is Associate Professor in the Department of Pharmacy of the National University of Singapore. Initially, he studied Pharmacy at Goethe University in Frankfurt where he obtained his doctoral degree in pharmaceutical technology. As a post-doc and group leader he has joined Jennifer Dressman and Jörg Kreuter in the Institute of Pharmaceutical Technology, Goethe University. There, he also finished his habilitation in the area of nanocarrier-based drug delivery and received the venia legendi for pharmaceutical technology. 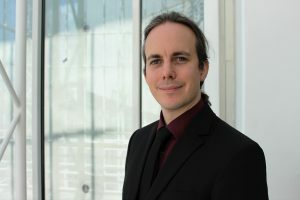 Prior to joining NUS, he was heading the Department of Pharmaceutical Technology and Nanosciences of the Fraunhofer-Institute for Molecular Biology and Applied Ecology led by Prof. Dr. Dr. Gerd Geisslinger. His research on the design and characterization of nanocarrier systems was honored with the Eudragit® Best Paper Award in 2014 and the Phoenix Pharmaceutics Science Award in 2017. He has published and lectured extensively and organized symposia on various aspects of nanotechnology. Further, he is a known expert for nanomaterial regulations and drug release testing with focus on nanocarrier systems.